Where: Yuengling Center, Tampa, Fla. The Shockers are a young team and the youth has shown so far this year especially in the second half of games so far. 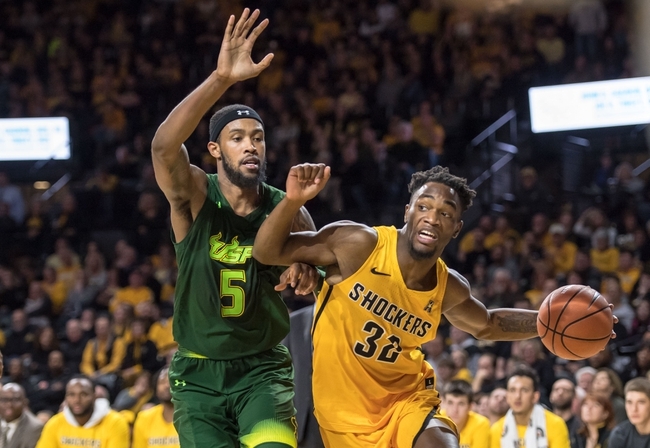 The Shockers have been to seven-straight NCAA Tournaments and posted nine-straight 25-win seasons under head coach Gregg Marshall but are rebuilding this year with 10 first-year players. WSU has also played a tough schedule in the early going within the AAC so far. There are five one-loss teams grouped atop The American standings:Houston (5-1), Cincinnati (5-1), UCF (4-1), Temple (4-1) and Memphis (4-1). WSU played the entire quintet in a five game stretch to begin conference play with the only win coming against UCF. After a brutal five-game stretch to open up conference play, the schedule eases up for WSU. The Shockers’ next six games are all against teams currently with a non-winning record in AAC play and this begins with the road contest with USF. WSU split a pair of home games last week against teams and have lost five of its last six contests. The Shockers handed UCF its lone conference loss last Wednesday, 75-67 in Wichita. Markis McDuffie scored 18 of his game-high 23 points after halftime, and WSU out-rebounded the Knights 20-5 in the second half. 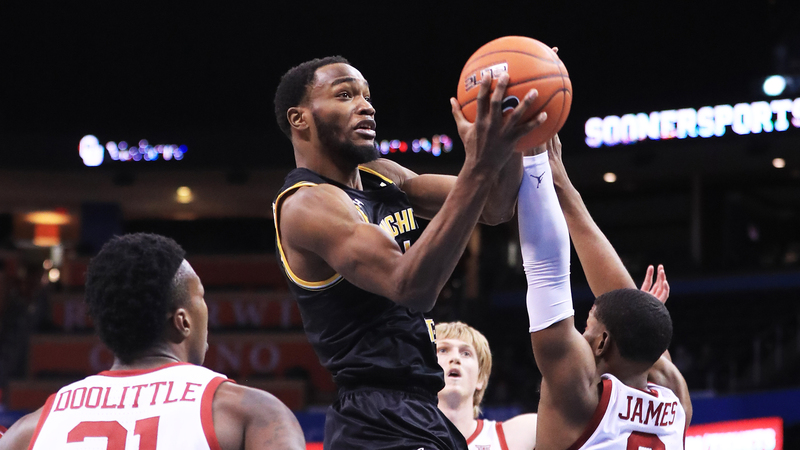 Last Saturday, the Shockers led Cincinnati midway through the second half before bowing, 66-55. The Shockers have yet to win a road game (0-4) so far. In fact, Wichita State has dropped all four of its road games by at least nine points and is losing on the road by an average of 17.0 points per game. This test in Tampa might just be a make or break for this team if it wants to keep the NCAA tournament streak going. Key Fantasy Player: Markis McDuffie is the American Athletic Conference’s second-leading scorer at 19.6 points per game. He’s scored at least 20 points in four-straight games (tied for the longest Marshall Era streak) and has reached double-figures in each of the last 16 (second-longest). McDuffie (1,187 career points) needs just 24 more to move into the top-25 on WSU’s all-time list. Look for him to break into that group in this game. Scouting Report: Due to the league’s unbalanced schedule, this will be the only regular season meeting between the teams. They also played just once last year — Jan. 7, 2018 in Wichita. On that day, WSU hit 12-of-20 from three and a season-best 62.7% overall from the field in a 95-57 win. That game is the only game in the series between these two teams. 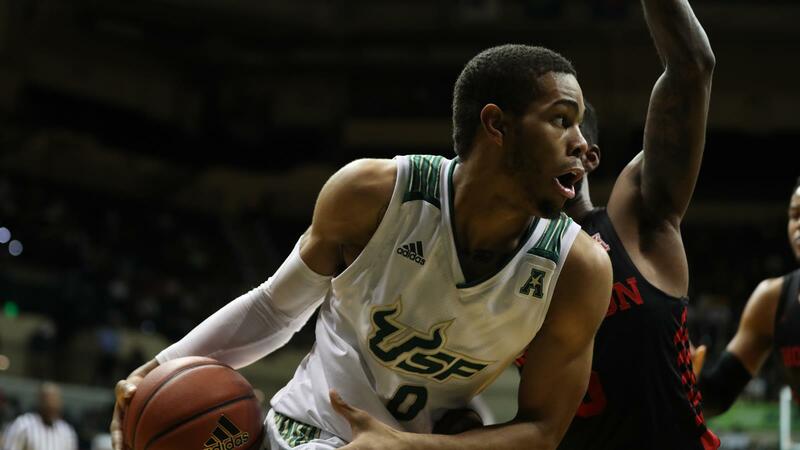 USF suffered just its second home loss of the season when it dropped a 69-60 decision to Houston on Saturday. In early December, the Bulls also lost an out-of-conference home game to The Citadel. USF is looking for its 13th win of the season, which would be the most since the 2011-12 season. Head coach Brian Gregory has turned around the Bull program, now in his second season in Tampa. And the Bulls are showing the turnaround even in their losses. USF’s six losses are by an average of 4.7 points per game. Four of the six losses have been by three points or less. USF, however has had three of the six losses in its last three games. The Bulls will look to snap that losing streak. Key Fantasy Player: David Collins scored a season-high 23 points and has recorded five 20-point games this season and leads USF with 14.8 points per game. Collins has also been strong defensively and ranks 13th in the NCAA and second in the league with 2.6 steals per game. He will get his share in this game.